1.Who us your favorite author other than yourself in your genre and why? Such a tough question. It’s so hard to whittle it down to just one. But if pressed, I guess I’d have to i.d. Susan Elizabeth Phillips. I always feel for her heroines, cheer them on in their journeys of growth, and grow they do, fall in love with her heroes and get caught up in the lives of all the other cast members in her books. Also her situations can be downright hilarious. SEP is good for several genuine laugh-out-loud’s per book, and a good cry every now and again too. 2.What is your favorite book by them and why? Ouch. This question actually hurts. I’m such a fan and it’s so hard to narrow it down. I mean who can resist the moment in Fancy Pants when spoiled rich Francesca Day throws her last 25 cents into a cornfield to start her life anew, or brave Sugar Beth Carey who comes back to the town she destroyed to face her demons. 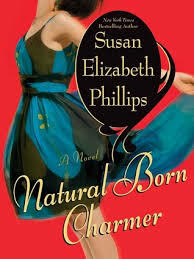 But I guess, Natural Born Charmer wins out for me. SEP had me at the first line, when Dean Robillard stops to rescue damsel Blue Bailey in distress (she’s actually tromping down a dusty road in a headless beaver costume). Blue, whose mother has stolen from her to rescue South American women at risk, is really down and out and up against a wall, but do she shrink and swoon? No. Like so many of SEP’s heroines, Blue uses what tools she has and emerges strong and smart and triumphant. SEP’s heroes are pulled into the vortex of change the heroines storm through and like Dean in Natural Born Charmer sees who his ladylove really is and does what it takes to win her over. 3.What about their style inspires your writing? Whew. This one’s easy peasy. 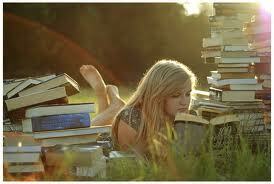 Her warmth, her humor, her penchant for finding novel authentic meets, plot points and twists. Then there’s her ability to bring strong characters together in love, and to address tough issues with a sincere but soft touch. Mostly, it’s how she paces the growth arc of her heroines. They become Protagonist 2.0, where the biggest thing that has changed about them is a shift in their own perception which encompasses their ability to love. Lovely post, Kim! I’ll have to give Susan a try, as I must admit I haven’t read her yet! ranked for. This is where you can comment regarding other content including images Then in the ‘location of the allegedly.